Our oceans are littered with plastics. Indeed, we are regularly exposed to images and stories of whales and sea turtles choking to death on plastic trash. Ocean plastic is clearly a problem but what is the solution? On the surface, it seems clear, plastic must be reduced or eliminated at its source. Here’s why: Ninety percent of ocean plastics come from 10 rivers, eight of which are in Asia. The five most plastic polluting countries are China, Indonesia, Philippines, Thailand, and Vietnam. This agrees with our experience along Vietnam’s coast, where there are piles of plastic on the beaches, and where we research the impact of marine plastic debris on coastal livelihoods. However, when you look below the surface, you see that these arguments blame the plastic tide on consumers in the global south — without mention of those living in the global north. It is as if they have no responsibility for the crisis. If we understand waste, not as something produced by the actions of a group of individuals, but rather a product of socioeconomic systems that contribute to making waste and encourages wasting, problems with these dominant explanations arise. We start to see that Western consumers are part of the problem and cannot be absolved of their responsibility. Asian countries have long been in the business of processing the plastic waste that comes from the global north, but China’s January 2018 ban on imported waste (much of which arrived from the global north) completely disrupted the plastic waste trade. News reports show that Canada, the United States, the United Kingdom, and Australia scrambled through much of 2018 to find a solution to this problem. Much of the waste was diverted to neighboring countries, including Indonesia, the Philippines, Thailand, Malaysia, and Vietnam — four of them part of the so-called most polluting countries. These countries are now overwhelmed by the sheer volume of plastics. Vietnam, for instance, announced it would ban the import of scrap material in early 2019, in response to concerns by residents about worsening environmental conditions and the health of locals. Some individuals, mostly in the global north, are trying to reduce their plastic consumption by avoiding cheap plastic straws and single-use bags or using only durable and sustainably produced items. Unfortunately, these “solutions” perpetuate inequality, nationally and internationally. Not everyone can afford a bamboo toothbrush. In addition, durable options are often made of multiple components that are harder to separate for recycling once they enter the waste stream — and once they do, are slower to breakdown. This focus on individual action also overlooks the fact that corporations using plastic packaging are subsidized through publicly funded municipal waste programs. Lighter plastic packaging equals cheaper global shipping — further encouraging production and consumption of more cheap plastic. The biggest consequence by far of our consumer lifestyle is the creation of wasteful spaces. As contaminated oceans and filthy landscapes become more and more common, the increased attention to improper waste-management practices in “polluting countries” has created the perception that they are mismanaging and misusing plastics. Those on the receiving end of the global north’s waste pay the ultimate price. The export of waste from the global north to the global south has been controversial for more than 30 years. The United Nations Development Programme (UNDP) argued in 1989 that this perpetuates inequality and supports the movement of waste across borders. Recently the UNDP proposed revising the wording of the Basel Convention, so that imported plastic waste would no longer be called “green waste,” giving the receiving country the right to refuse polluted or mixed plastic waste that it could not manage safely. Although this amendment has not been approved, doing so would encourage a better understanding of the source of plastics in our oceans instead of blaming the developing world for their improper management. 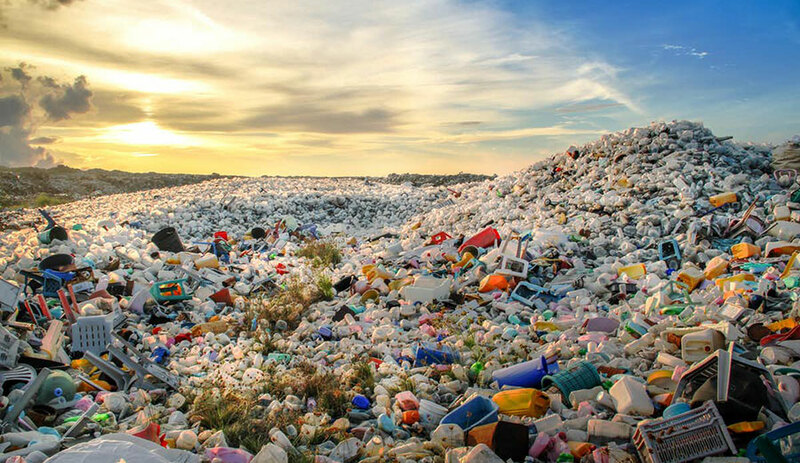 Make no mistake, when we throw out that single-use cup, recycle plastic cauliflower wrappers or buy into the current Marie Kondo obsession of keeping only “joyful things,” we are supported by structures of global inequality. Ethical consumption is still consumption, and there may not always be another country or landfill available for our discarded stuff. It may seem right to encourage recycling, but there are larger implications. Recycling will not fix the problem of ocean plastics, and pointing the finger at the global south for poor waste management practices simply reproduces colonial habits of exporting problems and victim-blaming. True solutions rest in reduced consumption and more equitable waste-management practices including rewarding sustainable ideas and forcing corporations to pay to clean up their mess. This article was written by multiple authors: Alisa Greenwood-Nguyen, Masters Student, University of Guelph and Robin J. Roth, Associate Professor of Geography, University of Guelph and is republished from The Conversation under a Creative Commons license. Read the original article.